1. You prefer staying in your comfort zone. You like to keep your routines the way they are because of their familiarity. You’re so used to doing things a certain way that any disruption easily upsets you. You don’t attempt to change things up in your schedules and activities, even within reason, because you worry that stepping out of your comfort zone might only cause problems and inconveniences. While a comfort zone keeps things steady, it can also inhibit your growth and productivity. Harvard experts recommend making baby steps and setting mini goals outside your comfort zone to slowly conquer your FOBO. 2. You make safe choices. You don’t attempt to think outside the box. Instead, you make safe choices and stick to your plans because you generally know the outcome. Sometimes, however, you need to take risks and go off the books with your choices in order to succeed or gain better opportunities. Unfortunately, for someone suffering from FOBO, taking a risk seems like the end of everything, not an option for something better. 3. You like having control. Your obsession with control is almost to the point of perfection. Additionally, you feel like you need this rhythm or you lose the semblance of order in your life. But in reality, many things can go wrong in your life, over which you have no control. You can’t learn important life skills like flexibility and resilience if you cling too tightly to control. 4. You are afraid to fail. Society has set the standard for why so many people see failure as a shameful thing. Those who suffer from FOBO are too wrapped up in making sure this doesn’t happen to them. But failure can be a character-building experience. In fact, the most inspiring stories of success come from those who have failed more than once in their life. Before Walt Disney, Steve Jobs, JK Rowling, and Oprah Winfrey became billionaires, they experienced failures like rejection and bankruptcy. Hitting rock bottom taught and motivated them to get back on their feet and seek better options for themselves. 5. You have so many excuses when it comes to taking chances. According to a study published in the journal Motivation and Emotion, making excuses is apparently a defense mechanism. Someone with FOBO would rather avoid facing the possibility of failure than entertain the idea of success, so she makes up excuses. This is like a glass half-empty, half-full situation that also reflects on a person’s fear of failure. You don’t attempt to look for better options because you doubt yourself. Because you lack the confidence to manage bigger and challenging things, you don’t dip your feet in the water when opportunities come knocking. You get overwhelmed by just imagining the tasks you’re expected to accomplish, so you pass up on the chance to try out for that higher post at work, despite the perks and benefits. 7. You don’t voice your opinions and ideas. You might have something substantial and positive to say about a matter that could affect your place of work or community, but you’d rather keep your opinion and ideas to yourself. You don’t like to rock the boat or deal with the consequences of sharing your thoughts, even if it’s actually better than what others have shared. 8. You don’t believe in following your passion. What’s holding you back from getting better options? Could it be that you don’t believe you can make something out of your passion? Perhaps you consider practicality as the mark of success. For example, you pick a corporate job for the security rather than braving auditions to become a music artist. What would happen if you choose to follow your passion instead? 9. You stay at a job you hate. You’re stressed, exhausted, and unhappy professionally. But even if you have enough money for a two-week vacation in Greece, you can’t enjoy the fruits of your labor because of the work demands. People who suffer from FOBO wake up feeling heavy as they drag themselves to work every morning. However, they refuse to quit and look for something better because the current job they have sufficiently pays the bills. 10. You put up with a bad relationship. Does being miserable with someone seem more romantic than being single? For someone with FOBO, the answer to this is a resounding yes. They would rather put up with a person who hurts them than to be alone. They don’t realize time invested in a bad relationship is essentially time wasted. If you leave your bad relationship and stay single for a while, then you could pour more positive energy into improving yourself. When you improve yourself, you can attract the right person in your life and receive the love you deserve. 11. 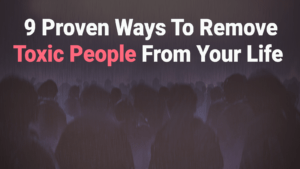 You feel guilty breaking off toxic friendships. You know that one toxic friend you can’t seem to turn down or say no to, even if she’s bringing so much negativity in your life? If you have FOBO, you won’t turn your back on this person because of the guilt. 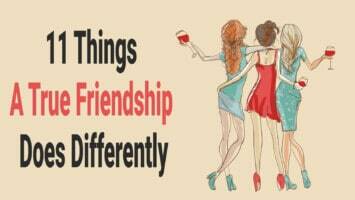 Perhaps you were raised on the idea that real friends should be loyal to each other. But the reality is, people can outgrow each other. According to experts from the University of California, Los Angeles (UCLA), holding on to toxic friendships is not only bad for your sanity, but it can physically make you ill with heart diseases, cancer, or diabetes. 12. You procrastinate because you don’t like making decisions. You put off looking for a better job, breaking off a bad romance, enlisting at the gym, or moving to a good neighborhood because not deciding on something is a lot easier than searching, weighing options, and committing to change. But then, you lose a lot of precious time and opportunities to get your life on track. If you continue to delay, before you know it, you’ve spent most of your life regretting the things you didn’t do. 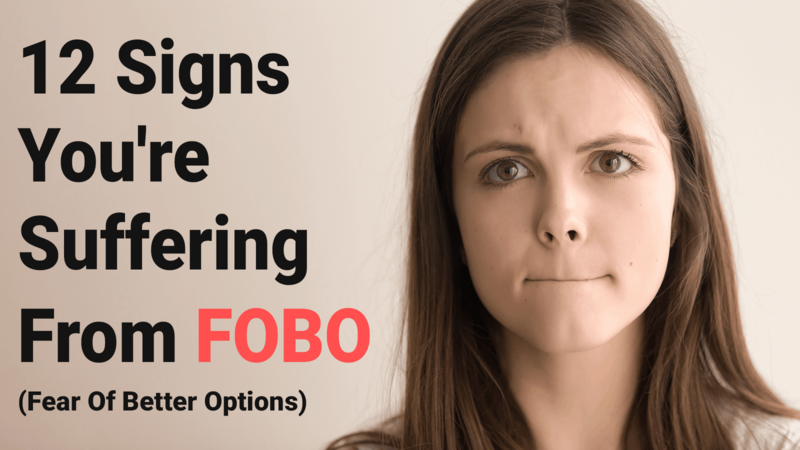 Despite positive thinking, FOBO can be paralyzing when you should be making full commitments in order to make something of your life. If you’re in this tough spot, it might be time to pause and take a long hard look inwards. Figure out what happiness and success mean for you, then start making plans and crafting your goals from this point.